If you have been injured because of the negligence of another, you need an attorney with the knowledge and experience to succeed against the insurance companies and their teams of lawyers, no matter how complex or sophisticated the case. 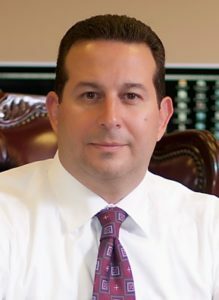 In Boston and New Bedford, George Leontire and the team at the Baez Law Firm MA have years of litigation experience backed by a record of success in some of the highest profile cases in recent history. Let us help you get the medical care and compensation you need and deserve after being injured through no fault of your own. Attorneys: A lawyer is a person who practices law, as an advocate, barrister, attorney, counselor or solicitor or chartered legal executive. Working as a lawyer involves the practical application of abstract legal theories and knowledge to solve specific individualized problems, or to advance the interests of those who hire lawyers to perform legal services. The role of the lawyer varies greatly across legal jurisdictions, and so it can be treated here in only the most general terms. Business Services Lawyers: Examples are: Former, current, or prospective employees suing on the grounds of discrimination in hiring, firing, or hostile work environment. Local, state, or federal government entities filing complaints or investigating your business for violation of any laws. You want to make a "special allocation" of profits and losses or you want to contribute appreciated property to your partnership or LLC agreement. An environmental issue arises and your business is involved (even if your business didn't cause the environmental problem, you may be penalized). Negotiating for the sale or your company or for the acquisition of another company or its assets. Criminal Defense Lawyers: A criminal defense lawyer, is a lawyer (mostly barristers) specializing in the defense of individuals and companies charged with criminal activity. Some criminal defense lawyers are privately retained, while others are employed by the various jurisdictions with criminal courts for appointment to represent indigent persons; the latter are generally called public defenders. The terminology is imprecise because each jurisdiction may have different practices with various levels of input from state and federal law or consent decrees. Some jurisdictions use a rotating system of appointments with judges appointing a private practice attorney or firm for each case.